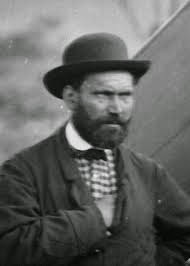 Born in Glasgow, Scotland in 1819, Allan Pinkerton might never have followed in his policemen father’s footsteps had it not been for a chance encounter. A cooper by trade, he ran afoul of the law because of his political affiliations and he and his wife fled Scotland and ended up in America. After settling in Illinois, he dreamed of monopolizing the cooper manufacturing company in the region and called his company Pinkerton’s One and Original Cooperage of Dundee. While cutting down poles for his barrels, he came across a counterfeiting ring. He reported his discovery to the sheriff, who immediately deputized him to help find the leader. Allan set up a sting and caught him. The Cook County sheriff was so impressed he offered Allan a job. Allan eventually decided to start his own detective agency, the only one of its kind, and the Pinkerton National Detective Agency became reality. The agency’s “seeing-eye” logo inspired the phrase private eye. The Pinkerton name became a household word when he prevented an assassination plot on President-elect Lincoln. Lincoln then hired Allan to organize the Secret Service to stop counterfeiting. Allan was accused of being both a traitor and a patriot. He was also innovative and many of his methods are still used to today. The first to use photography as a crime-fighting tool, he collected what he called mug shots and newspaper articles, and organized files on every known criminal in the country. He was also ahead of his time in other areas as well and hired his first female detective Kate Warne in 1852. He thought she was applying for a secretary job but she soon relieved him of that notion. Oh, to have been at that meeting! 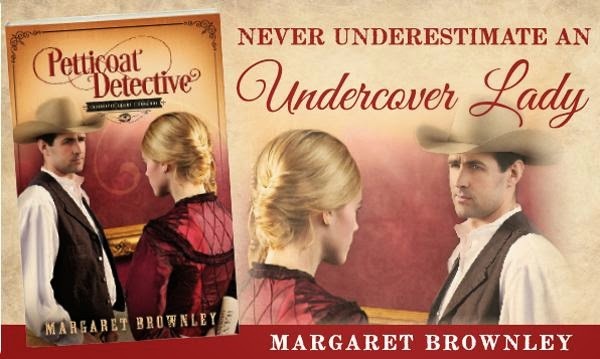 Quick to see the advantage of female detectives, he put her in charge of the Pinkerton Female Detective Bureau formed in 1860 to ‘worm out secrets’ by means unavailable to male detectives. Unfortunately, most of the information pertaining to this bureau was destroyed in the Great Chicago Fire, so we'll never know exactly how those lady detectives wormed out secrets. What we do know is that at the height of its existence, the Pinkerton Detective Agency employed more agents than the United States army. Can you imagine having to track down criminals without benefit of DNA, fingerprints, security cameras, Facebook, cell phones or computers? But that’s exactly what those early gumshoes had to do and yet, they almost always got their man and, in some case, their woman. Their heavy-handed and sometimes ruthless pursuit of criminals like Jesse James (which resulted in the death of a child) earned the agency a bad reputation and tarnished the Pinkerton name. Several states passed anti-Pinkerton laws, which prohibited the hiring of private detectives. Allan fought back by publishing more than a dozen books in an effort to set the record straight. Who is your favorite literary, movie or TV detective? My favorite TV detective is Monk. I just loved his style. Virginian, I really liked Monk, too, and was sorry when he went off the air. My favorite show was when he wrapped a birthday cake in Saran wrap to keep it germ free and the cake caught on fire. My favorite is Nancy Drew, who inspired my Heather Reed Mystery Series in the 90s. Ah, Nancy Drew! I have a feeling she inspired a lot of us. I know she did me, which is why I wrote my first mystery in fifth grade. Heather Reed is a great name! Nancy Drew was my favorite growing up, but I liked Angela Lansbury's character in "Murder She Wrote." Hi Marilyn, I liked Murder, She Wrote, too. It was so uplifting. Most of today's crime shows are too serious. I had no clue that the Pinkerton Detective Agency employed more agents than the United States army, Margaret. That's amazing! I also had no idea that Allan was born in Glasgow. My favorite detective is Sherlock Holmes and The Hound of the Baskervilles is still my favorite Sherlock mystery. Although I really don't much about it my grandfather was once employed as a railroad detective and I've always wanted to write a story around that to honor him. Hi Jillian, yes the number of detectives once employed is amazing. I still can't get over that he also had a women's detective department in the 1800s. He was truly ahead of his time. Lucky you to have a railroad detective in your family. Yes, you must write that story! Hi Deanna, yes I like Castle, too! It's fun, lighthearted and romantic! What more could you want? Hi Kelly, you know I never read Encyclopedia Brown but I think my children did. I'll have to ask them. I like Alex Cross, too. Never watched Remington Steele, though. Don't know why. I can't pick a favorite; I read all the female detective novels, also police procedurals, then there's the Joe Pickett series, Mike Bowditch, and Joe Gunther.....I think it all started because of reading Trixie Belden and Nancy Drew as a child. Then I "nightsat" with an elderly lady who had a ton of Travic McGee paperbacks, of course I read every one! Wow, Connie. You mentioned a few that are new to me. I do remember Trixie Belden, though. Haven't thought of her for years. I liked her because she was the first character I came across who grumbled about chores and other things. That made her seem so real to me.